Chris Perkins isn’t the only one who gets to wear a gorgeous gold dragon! The scarf below was a Christmas gift from my mother-in-law. 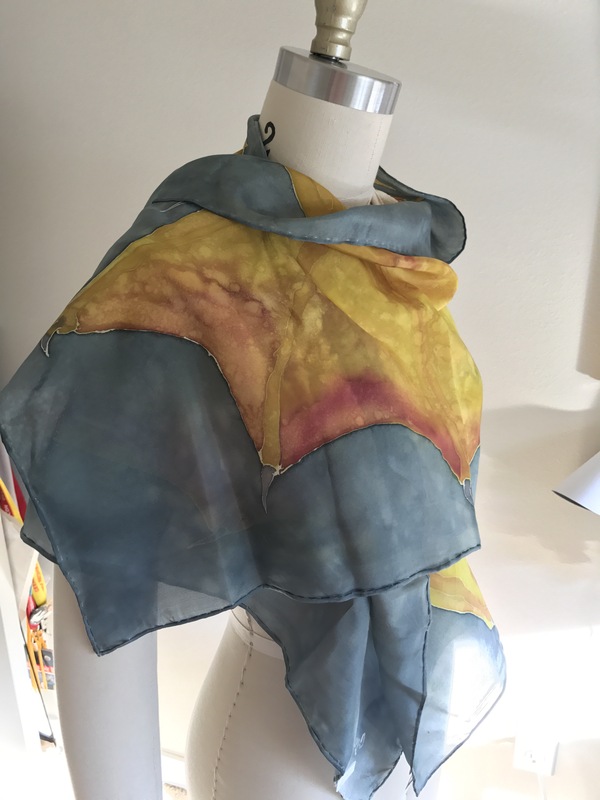 It is a hand-painted silk scarf that she commissioned from a local PNW artist, Sage Hen Designs. 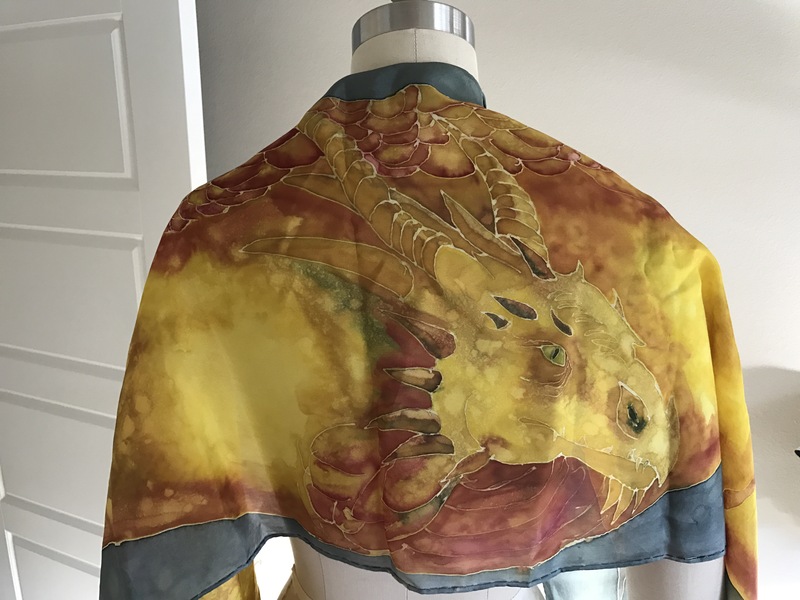 The dragon’s wingspan stretches across the scarf and wraps around me when I wear it. So far I’ve only been wearing it around the house because the cold weather has called for warmer scarves when I go out. But keep your eyes peeled for this scarf being paired with my springtime wardrobe. 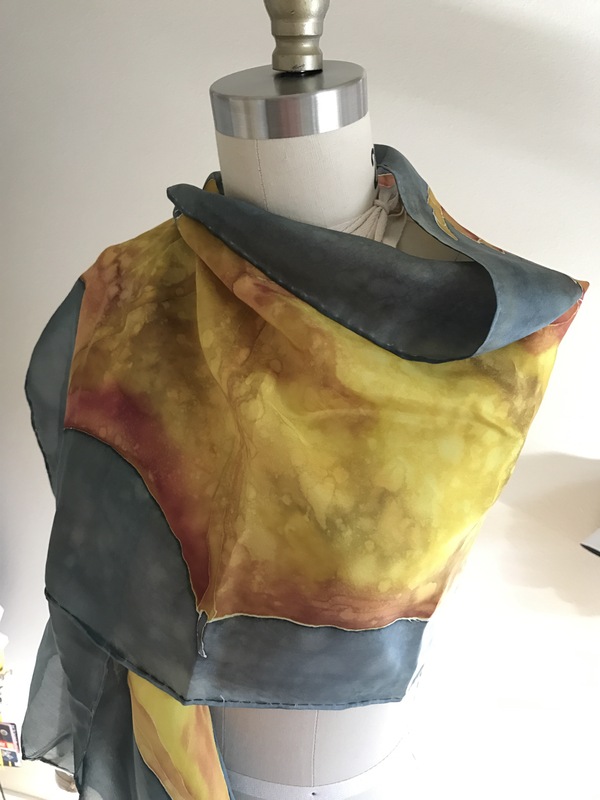 Wow, that is a stunning scarf!